p Yes* The password, either in clear text or hex-encoded with a "enc:" prefix. Since 2.0.0 this should only be used for testing purposes. t Yes* (Since 2.0.0) The authentication token computed as md5(password + salt). See below for details. s Yes* (Since 2.0.0) A random string ("salt") used as input for computing the password hash. See below for details. v Yes The protocol version implemented by the client, i.e., the version of the madsonic-rest-api.xsd schema used (see below). c Yes A unique string identifying the client application. *) Either p or both t and s must be specified. Remember to URL encode the request parameters. All methods (except those that return binary data) returns XML documents conforming to the madsonic-rest-api.xsd schema. The XML documents are encoded with UTF-8. Since build > 6.0.7300 you can make your calls on diffrent REST API levels. calculated as a one-way salted hash of the password. For each REST call, generate a random string called the salt. Send this as parameter s.
Use a salt length of at least six characters. Calculate the authentication token as follows: token = md5(password + salt). The md5() function takes a string and returns the 32-byte ASCII hexadecimal representation of the MD5 hash, using lower case characters for the hex values. The '+' operator represents concatenation of the two strings. Treat the strings as UTF-8 encoded when calculating the hash. Send the result as parameter t.
For example: if the password is secret and the random salt is xfhn8gf4gv, then token = md5("secretxfhn8gf4gv") = 8a4ff6068f3b09c6a302d4d58e02d6f0. 10 Required parameter is missing. 20 Incompatible REST protocol version. Client must upgrade. 30 Incompatible REST protocol version. Server must upgrade. 40 Wrong username or password. 50 User is not authorized for the given operation. 60 The trial period for the Madsonic server is over. Please upgrade to Madsonic Premium. Visit madsonic.org for details. 70 The requested data was not found. Note that a Madsonic server is backward compatible with a REST client if and only if the major version is the same, and the minor version of the client is less than or equal to the server's. it supports client versions 2.0.0, 2.1.0 and 2.2.0, but not versions 1.x.x, 2.3+ or 3.x.x. The third part of the version number is not used to determine compatibility. Starting with version 2.0.0, the API provides methods for accessing the media collection organized according to ID3 tags, rather than file structure. For instance, browsing through the collection using ID3 tags should use the getArtists, getArtist and getAlbum methods. To browse using file structure you would use getIndexes and getMusicDirectory. Correspondingly, there are two sets of methods for searching, starring and album lists. Refer to the method documentation for details. Used to test connectivity with the server and get supported REST version. Takes no extra parameters or user authentication. Returns a <madsonic-response> element with a nested <api> element on success. Example. Used to test connectivity with the server. Takes no extra parameters. Returns an empty <madsonic-response> element on success. XML Example, JSON Example. Get details about the software license. Takes no extra parameters. 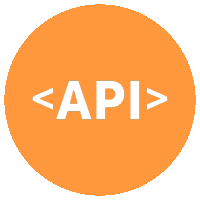 Please note that access to the REST API requires that the server has a valid license (after a 30-day trial period). To get a license key you must upgrade to Madsonic Premium. Returns a <madsonic-response> element with a nested <license> element on success. Example. Returns all configured top-level music folders. Takes no extra parameters. Returns a <madsonic-response> element with a nested <musicFolders> element on success. Example. Returns an indexed structure of all artists. musicFolderId No If specified, only return artists in the music folder with the given ID. See getMusicFolders. ifModifiedSince No If specified, only return a result if the artist collection has changed since the given time (in milliseconds since 1 Jan 1970). Returns a <madsonic-response> element with a nested <indexes> element on success. Example. Returns a listing of all files in a music directory. Typically used to get list of albums for an artist, or list of songs for an album. id Yes A string which uniquely identifies the music folder. Obtained by calls to getIndexes or getMusicDirectory. Returns a <madsonic-response> element with a nested <directory> element on success. Example 1, Example 2.
excludeNotPresent No false (Since 2.7.0) Whether to return genres that are not present. Returns a <madsonic-response> element with a nested <genres> element on success. Example. Similar to getIndexes, but organizes music according to ID3 tags. Returns a <madsonic-response> element with a nested <artists> element on success. Example. Returns details for an artist, including a list of albums. This method organizes music according to ID3 tags. id Yes The artist ID. Returns a <madsonic-response> element with a nested <artist> element on success. Example. Returns details for an album, including a list of songs. This method organizes music according to ID3 tags. id Yes The album ID. Returns a <madsonic-response> element with a nested <album> element on success. Example. Returns details for a song. id Yes The song ID. Returns a <madsonic-response> element with a nested <song> element on success. Example. Returns a <madsonic-response> element with a nested <videos> element on success. Example. Returns details for a image. id Yes The Image ID. Returns a <madsonic-response> element with a nested <images> element on success. Example. Returns artist info with biography, image URLs and similar artists, using data from last.fm. id Yes The artist, album or song ID. count No 20 Max number of similar artists to return. includeNotPresent No false Whether to return artists that are not present in the media library. Returns a <madsonic-response> element with a nested <artistInfo> element on success. Example. Similar to getArtistInfo, but organizes music according to ID3 tags. Returns a <madsonic-response> element with a nested <artistInfoID3> element on success. Example. Returns album notes, image URLs etc, using data from last.fm. id Yes The album or song ID. Returns a <madsonic-response> element with a nested <albumInfo> element on success. Example. Similar to getAlbumInfo, but organizes music according to ID3 tags. Returns details for a video, including information about available audio tracks, subtitles (captions) and conversions. id Yes The video ID. Returns a <madsonic-response> element with a nested <videoInfo> element on success. Example. Returns a random collection of songs from the given artist and similar artists, using data from last.fm. Typically used for artist radio features. count No 50 Max number of songs to return. Returns a <madsonic-response> element with a nested <similarSongs> element on success. Example. Similar to getSimilarSongs, but organizes music according to ID3 tags. Returns a <madsonic-response> element with a nested <similarSongsID3> element on success. Example. Returns similar artists, using data from last.fm. Returns a <madsonic-response> element with a nested <similarArtists> element on success. Example. Similar to getSimilarArtists, but organizes music according to ID3 tags. Returns a <madsonic-response> element with a nested <similarArtistsID3> element on success. Example. genre Yes The genre, as returned by getArtistGenres. count No 10 The number of artists to return. Max 500.
offset No 0 The list offset. Useful if you for example want to page through the list of newest artists. Returns a <madsonic-response> element with a nested <songsByGenre> element on success. Example. type Yes The list type. Must be one of the following: random, newest, highest, frequent, recent, alphabeticalByName or alphabeticalByArtist to page through all albums alphabetically, and starred to retrieve starred albums. Since 1.10.1 you can use byYear and byGenre to list albums in a given year range or genre. size No 10 The number of albums to return. Max 500.
offset No 0 The list offset. Useful if you for example want to page through the list of newest albums. fromYear Yes (if type is byYear) The first year in the range. If fromYear > toYear a reverse chronological list is returned. toYear Yes (if type is byYear) The last year in the range. genre Yes (if type is byGenre) The name of the genre, e.g., "Rock". Returns a <madsonic-response> element with a nested <albumList> element on success. Example. Similar to getAlbumList, but organizes music according to ID3 tags. type Yes The list type. Must be one of the following: random, newest, frequent, recent, starred, alphabeticalByName or alphabeticalByArtist. you can use byYear and byGenre to list albums in a given year range or genre. Returns a <madsonic-response> element with a nested <albumListID3> element on success. Example. Returns random songs matching the given criteria. size No 10 The maximum number of songs to return. Max 500.
genre No Only returns songs belonging to this genre. fromYear No Only return songs published after or in this year. toYear No Only return songs published before or in this year. musicFolderId No Only return songs in the music folder with the given ID. See getMusicFolders. Returns a <madsonic-response> element with a nested <randomAlbumsID3> element on success. Example. Returns a <madsonic-response> element with a nested <randomSongs> element on success. Example. Returns songs in a given genre. genre Yes The genre, as returned by getGenres. count No 10 The maximum number of songs to return. Max 500.
offset No 0 The offset. Useful if you want to page through the songs in a genre. count No 20 The maximum number of songs to return. Max 500.
offset No 0 The offset. Useful if you want to page through the songs. Returns a <madsonic-response> element with a nested <newaddedSongs> element on success. Example. Returns a <madsonic-response> element with a nested <lastplayedSongs> element on success. Example. Returns a <madsonic-response> element with a nested <mostplayedSongs> element on success. Example. Returns a <madsonic-response> element with a nested <topplayedSongs> element on success. Example. Returns a random collection of songs from the given song using data from Madsonic FollowMe. Returns what is currently being played by all users. Takes no extra parameters. Returns a <madsonic-response> element with a nested <nowPlaying> element on success. Example. Returns starred songs, albums and artists. Returns a <madsonic-response> element with a nested <starred> element on success. Example. Similar to getStarred, but organizes music according to ID3 tags. Returns a <madsonic-response> element with a nested <starredID3> element on success. Example. artistCount No 20 Maximum number of artists to return. artistOffset No 0 Search result offset for artists. Used for paging. albumCount No 20 Maximum number of albums to return. albumOffset No 0 Search result offset for albums. Used for paging. songCount No 20 Maximum number of songs to return. songOffset No 0 Search result offset for songs. Used for paging. Returns a <madsonic-response> element with a nested <searchResult> element on success. Example. Similar to search, but organizes music according to ID3 tags. Returns a <madsonic-response> element with a nested <searchResultID3> element on success. Example. Returns all playlists a user is allowed to play. username no (Since 1.8.0) If specified, return playlists for this user rather than for the authenticated user. The authenticated user must have admin role if this parameter is used. Returns a <madsonic-response> element with a nested <playlists> element on success. Example. Returns a listing of files in a saved playlist. id yes ID of the playlist to return, as obtained by getPlaylists. Returns a <madsonic-response> element with a nested <playlist> element on success. Example. Creates (or updates) a playlist. playlistId Yes (if updating) The playlist ID. name Yes (if creating) The human-readable name of the playlist. songId Yes ID of a song in the playlist. Use one songId parameter for each song in the playlist. Returns an empty <madsonic-response> element on success. Updates a playlist. Only the owner of a playlist is allowed to update it. playlistId Yes The playlist ID. name No The human-readable name of the playlist. comment No The playlist comment. public No true if the playlist should be visible to all users, false otherwise. usernameToAdd No (Since 2.6.1) Allow this user to listen to this playlist. Multiple parameters allowed. usernameToRemove No (Since 2.6.1) Disallow this user to listen to this playlist. Multiple parameters allowed. songIdToAdd No Add this song with this ID to the playlist. Multiple parameters allowed. songIndexToRemove No Remove the song at this position in the playlist. Multiple parameters allowed. id yes ID of the playlist to delete, as obtained by getPlaylists. Streams a given media file. id Yes A string which uniquely identifies the file to stream. Obtained by calls to getMusicDirectory. maxBitRate No (Since 1.2.0) If specified, the server will attempt to limit the bitrate to this value, in kilobits per second. If set to zero, no limit is imposed. format No (Since 1.6.0) Specifies the preferred target format (e.g., "mp3" or "flv") in case there are multiple applicable transcodings. Starting with 1.9.0 you can use the special value "raw" to disable transcoding. timeOffset No Only applicable to video streaming. If specified, start streaming at the given offset (in seconds) into the video. Typically used to implement video skipping. size No (Since 1.6.0) Only applicable to video streaming. Requested video size specified as WxH, for instance "640x480". estimateContentLength No false (Since 1.8.0). If set to "true", the Content-Length HTTP header will be set to an estimated value for transcoded or downsampled media. Returns binary data on success, or an XML document on error (in which case the HTTP content type will start with "text/xml"). Creates an HLS (HTTP Live Streaming) playlist used for streaming video or audio. HLS is a streaming protocol implemented by Apple and works by breaking the overall stream into a sequence of small HTTP-based file downloads. It's supported by iOS and newer versions of Android. This method also supports adaptive bitrate streaming, see the bitRate parameter. id Yes A string which uniquely identifies the media file to stream. audioTrack No The ID of the audio track to use. See getVideoInfo for how to get the list of available audio tracks for a video. Returns an M3U8 playlist on success (content type "application/vnd.apple.mpegurl"), or an XML document on error (in which case the HTTP content type will start with "text/xml"). Creates an DASH (MPEG-DASH) playlist used for streaming video. MPEG-DASH is the first adaptive bit-rate HTTP-based streaming solution that is an international standard. Returns an XML playlist on success (content type "application/dash+xml"), or an XML document on error (in which case the HTTP content type will start with "text/xml"). Downloads a given media file. Similar to stream, but this method returns the original media data without transcoding or downsampling. id Yes A string which uniquely identifies the file to download. Obtained by calls to getMusicDirectory. Returns a cover art image. id Yes The ID of a song, album or artist. size No If specified, scale image to this size. Returns the cover art image in binary form. Returns captions (subtitles) for a video. Use getVideoInfo to get a list of available captions. id Yes The ID of the video. format No Preferred captions format ("srt" or "vtt"). Returns the raw video captions. Searches for and returns lyrics for a given song. id No The media id instead of artist and title. artist No The artist name. title No The song title. Returns a <madsonic-response> element with a nested <lyrics> element on success. The <lyrics> element is empty if no matching lyrics was found. Example. Returns the avatar (personal image) for a user. username Yes The user in question. Returns the avatar image in binary form. Attaches a star to a song, album or artist. id No The ID of the file (song) or folder (album/artist) to star. Multiple parameters allowed. albumId No The ID of an album to star. Use this rather than id if the client accesses the media collection according to ID3 tags rather than file structure. Multiple parameters allowed. artistId No The ID of an artist to star. Use this rather than id if the client accesses the media collection according to ID3 tags rather than file structure. Multiple parameters allowed. Removes the star from a song, album or artist. id No The ID of the file (song) or folder (album/artist) to unstar. Multiple parameters allowed. albumId No The ID of an album to unstar. Use this rather than id if the client accesses the media collection according to ID3 tags rather than file structure. Multiple parameters allowed. artistId No The ID of an artist to unstar. Use this rather than id if the client accesses the media collection according to ID3 tags rather than file structure. Multiple parameters allowed. Attaches a love to a song. id No The ID of the file (song) or folder (album/artist) to love. Multiple parameters allowed. Removes the love from a song. id No The ID of the file (song) to unlove. Multiple parameters allowed. Sets the rating for a music file. id Yes A string which uniquely identifies the file (song) or folder (album/artist) to rate. rating Yes The rating between 1 and 5 (inclusive), or 0 to remove the rating. "Scrobbles" a given music file on last.fm. Requires that the user has configured his/her last.fm credentials on the Madsonic server (Settings > Personal). Since 1.8.0 you may specify multiple id (and optionally time) parameters to scrobble multiple files. id Yes A string which uniquely identifies the file to scrobble. time No (Since 1.8.0) The time (in milliseconds since 1 Jan 1970) at which the song was listened to. submission No True Whether this is a "submission" or a "now playing" notification. Returns information about shared media this user is allowed to manage. Takes no extra parameters. Returns a <madsonic-response> element with a nested <shares> element on success. Example. Creates a public URL that can be used by anyone to stream music or video from the Subsonic server. The URL is short and suitable for posting on Facebook, Twitter etc. Note: The user must be authorized to share (see Settings > Users > User is allowed to share files with anyone). id Yes ID of a song, album or video to share. Use one id parameter for each entry to share. description No A user-defined description that will be displayed to people visiting the shared media. expires No The time at which the share expires. Given as milliseconds since 1970. Returns a <madsonic-response> element with a nested <shares> element on success, which in turns contains a single <share> element for the newly created share. Example. Updates the description and/or expiration date for an existing share. id Yes ID of the share to update. expires No The time at which the share expires. Given as milliseconds since 1970, or zero to remove the expiration. id Yes ID of the share to delete. Returns the most recently published Podcast episodes. count No 20 The maximum number of episodes to return. Returns a <madsonic-response> element with a nested <newestPodcasts> element on success. Example. Requests the server to check for new Podcast episodes. Note: The user must be authorized for Podcast administration (see Settings > Users > User is allowed to administrate Podcasts). Adds a new Podcast channel. Note: The user must be authorized for Podcast administration (see Settings > Users > User is allowed to administrate Podcasts). url Yes The URL of the Podcast to add. Deletes a Podcast channel. Note: The user must be authorized for Podcast administration (see Settings > Users > User is allowed to administrate Podcasts). id Yes The ID of the Podcast channel to delete. Deletes a Podcast episode. Note: The user must be authorized for Podcast administration (see Settings > Users > User is allowed to administrate Podcasts). id Yes The ID of the Podcast episode to delete. Request the server to start downloading a given Podcast episode. Note: The user must be authorized for Podcast administration (see Settings > Users > User is allowed to administrate Podcasts). id Yes The ID of the Podcast episode to download. Controls the jukebox, i.e., playback directly on the server's audio hardware. Note: The user must be authorized to control the jukebox (see Settings > Users > User is allowed to play files in jukebox mode). index No Used by skip and remove. Zero-based index of the song to skip to or remove. offset No Used by skip. Start playing this many seconds into the track. gain No Used by setGain to control the playback volume. A float value between 0.0 and 1.0. Returns a <jukeboxStatus> element on success, unless the get action is used, in which case a nested <jukeboxPlaylist> element is returned. Example 1. Example 2. Controls the virtual jukebox. Note: The user must be authorized to control the remote jukebox (see Settings > Users > User is allowed to play files in jukebox mode). Returns a <nodeStatus> element on success, unless the get action is used, in which case a nested <nodePlaylist> element is returned. Example 1. Example 2. Returns a <madsonic-response> element with a nested <node> element on success. Example. Returns all internet radio stations. Takes no extra parameters. Returns a <madsonic-response> element with a nested <internetRadioStations> element on success. Example. since No Only return messages newer than this time (in millis since Jan 1 1970). Returns a <madsonic-response> element with a nested <chatMessages> element on success. Example. Adds a message to the chat log. message Yes The chat message. Get details about a given user, including which authorization roles it has. Can be used to enable/disable certain features in the client, such as jukebox control. username Yes The name of the user to retrieve. You can only retrieve your own user unless you have admin privileges. Returns a <madsonic-response> element with a nested <user> element on success. Example. Get details about all users, including which authorization roles they have. Only users with admin privileges are allowed to call this method. Returns a <madsonic-response> element with a nested <users> element on success. Example. username Yes The name of the new user. password Yes The password of the new user, either in clear text of hex-encoded (see above). email Yes The email address of the new user. ldapAuthenticated No false Whether the user is authenicated in LDAP. adminRole No false Whether the user is administrator. settingsRole No true Whether the user is allowed to change settings and password. streamRole No true Whether the user is allowed to play files. jukeboxRole No false Whether the user is allowed to play files in jukebox mode. downloadRole No false Whether the user is allowed to download files. uploadRole No false Whether the user is allowed to upload files. coverArtRole No false Whether the user is allowed to change cover art and tags. commentRole No false Whether the user is allowed to create and edit comments and ratings. podcastRole No false Whether the user is allowed to administrate Podcasts. shareRole No false (Since 1.8.0) Whether the user is allowed to share files with anyone. lastFMRole No false (Since 1.10.2) Whether the user is allowed to use Last.FM calls. username Yes The name of the user. password No The password of the user, either in clear text of hex-encoded (see above). email No The email address of the user. ldapAuthenticated No Whether the user is authenicated in LDAP. adminRole No Whether the user is administrator. settingsRole No Whether the user is allowed to change settings and password. streamRole No Whether the user is allowed to play files. jukeboxRole No Whether the user is allowed to play files in jukebox mode. downloadRole No Whether the user is allowed to download files. uploadRole No Whether the user is allowed to upload files. coverArtRole No Whether the user is allowed to change cover art and tags. commentRole No Whether the user is allowed to create and edit comments and ratings. podcastRole No Whether the user is allowed to administrate Podcasts. shareRole No Whether the user is allowed to share files with anyone. username Yes The name of the user to delete. Changes the password of an existing Subsonic user, using the following parameters. You can only change your own password unless you have admin privileges. username Yes The name of the user which should change its password. password Yes The new password of the new user, either in clear text of hex-encoded (see above). Returns all bookmarks for this user. A bookmark is a position within a certain media file. Returns a <madsonic-response> element with a nested <bookmarks> element on success. Example. Creates or updates a bookmark (a position within a media file). Bookmarks are personal and not visible to other users. id Yes ID of the media file to bookmark. If a bookmark already exists for this file it will be overwritten. position Yes The position (in milliseconds) within the media file. comment No A user-defined comment. Deletes the bookmark for a given file. id Yes ID of the media file for which to delete the bookmark. Other users' bookmarks are not affected. Returns the state of the play queue for this user (as set by savePlayQueue). This includes the tracks in the play queue, the currently playing track, and the position within this track. Typically used to allow a user to move between different clients/apps while retaining the same play queue (for instance when listening to an audio book). Returns a <madsonic-response> element with a nested <playQueue> element on success, or an empty <madsonic-response> if no play queue has been saved. Example. Saves the state of the play queue for this user. This includes the tracks in the play queue, the currently playing track, and the position within this track. Typically used to allow a user to move between different clients/apps while retaining the same play queue (for instance when listening to an audio book). id Yes ID of a song in the play queue. Use one id parameter for each song in the play queue. current No The ID of the current playing song. position No The position in milliseconds within the currently playing song. Display the server status of scanning. Takes no extra parameters. Returns a <madsonic-response> element with a nested <scan> element on success. Example 1, Example 2. Start the server media scanning. Takes no extra parameters. Returns a <madsonic-response> element with a nested <scan> element on success. Example 1.